Is the Death of Cadillac Inevitable? The brand might be fading faster than it can recover. Cadillac is struggling. Okay, maybe not in China where the brand is performing well, but in the states, the struggle is real and sales are far from where they need to be in order for the brand to survive. It also appears that they can't exactly figure out who they are. The XTS and ATS sedans are dead, as is the CT6 Plug-In Hybrid. Sedan sales overall for the brand are paltry, at best. The focus now is on crossovers, namely the new XT4, the XT5, and the recently released 7-passenger XT6. Oh, and then there's the talk about electrification by 2021. The new XT6 three-row SUV bowed at the Detroit Auto Show to the unimpressed crowd. Though the brand is charging hard after change, the sales figures don't lie. The XT5 crossover is their best-selling vehicle, but even those numbers are down for 2018. 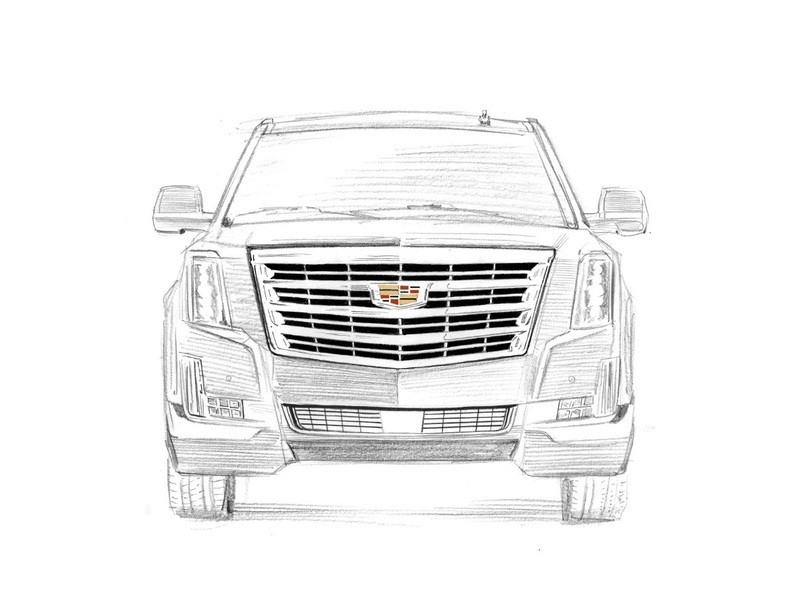 The Escalade and the outgoing XTS are the next best sellers, followed by the CTS and the ATS, but each of those model move less than a thousand units a month. Ouch. Sales volumes for the brand are down for the third straight year, and there's executive-level position changes, as well as a move back to Detroit after a failed four-year headquarters run in New York. The XT5 crossover is their best seller, but it's not enough to turn things around. GM President Mark Reuss and brand chief Steve Carlisle are promising all-new models across the board, but is that just throwing good money after bad? The recently unveiled XT6 didn't get the reception Cadillac had hoped for, even as a key member of a hot three-row SUV segment that everyone, including the Kia Telluride and the Hyundai Palisade, is getting in on. The new Caddy was hotly criticized for not incorporating Cadillac's much-lauded semi-autonomous Super Cruise technology, even as an option. A big family hauler that doesn't have this kind of tech for long trips just doesn't make any sense. The Crossover EV renderings are pretty cool, but it's a bit of a pipe dream. Whereas the brand once thought a move to New York would elevate its status by virtue of location and through tapping into lofty resources in Manhattan, they now think being close to GM HQ is the way to go. Talk about a barometric mindset that's probably hitting Cadillac in all the wrong places, and that same mindset is evident in their myriad vehicle changes. The same kind of shuffling and changing is also evident in their version of executive musical chairs. Once controversial Cadillac President Johan de Nysschen of Audi and Infiniti fame was kicked to the curb last year, and Chief Marketing Officer Uwe Ellinghaus was replaced by Deborah Wahl. Will the abrupt pivot to electrification work when everyone is wondering what Cadillac even means anymore? Their CTS was a superb car, but no one wanted to buy it against the likes of BMW, Mercedes-Benz, Audi, and Lexus, regardless of how great it was to drive. This new route away from gas cars that weren't even decent sellers is risky. Doing EVs isn't some amateurs' game since the likes of Tesla and Porsche are at the forefront of the luxury EV push. The fact that Cadillac isn't getting rave reviews for their existing line of vehicles means the change to convince customers that their EVs are better than established EV models will be a tall hurdle to overcome. Caddy's concept vehicles have been stunners, the bright spots over the past few years. From the Elmiraj to the beautiful Escala (below), the brand has shown us what they can do. But those are a coupe and sedan, segments that are on the decline, while their production crossovers and SUVs are not much to get excited about. The Escala concept was one of the most attractive sedan concepts we've seen of late. In the end, we doubt Cadillac will survive. They can't seem to make up their mind about what they want to be. Plus, the fact that luxury offshoots from mainstream American brands aren't doing well. Lincoln is feeling similar gut-punches from the public, and Ford is trying to change things up for them, as well. We'll see what will happen. Cadillac has a lot to overcome in a painfully short period of time, and the challenges they face might be insurmountable.